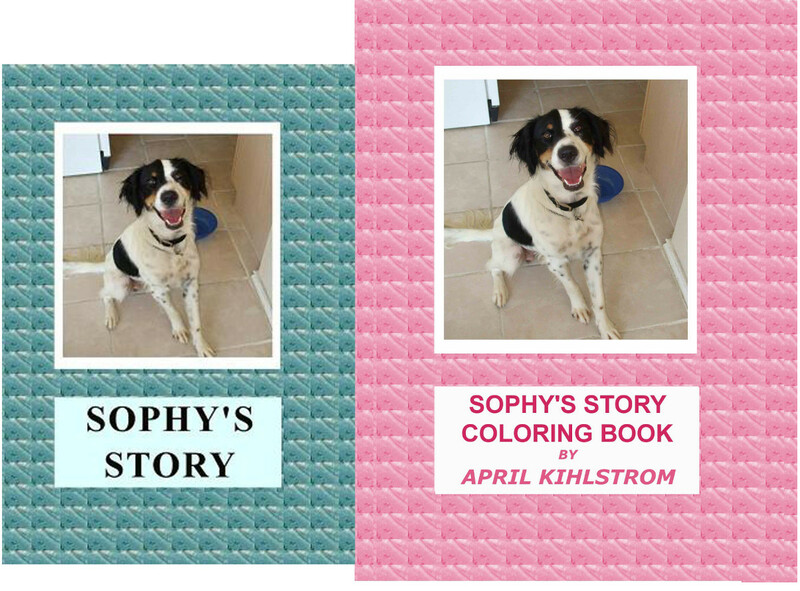 My latest project is creating Sophy coloring books that match up with the Sophy Books. Let me know what you think! 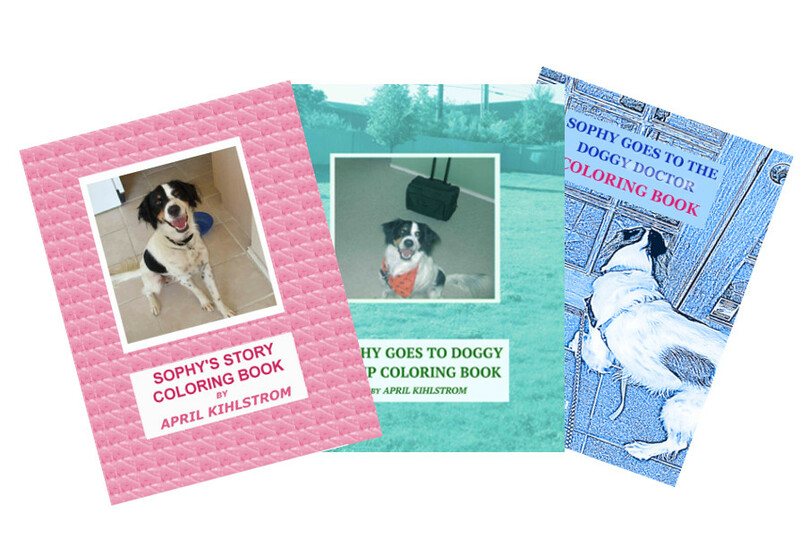 Why coloring books? So often, those with a disability have very little control over their lives. Coloring books give them a measure of control. 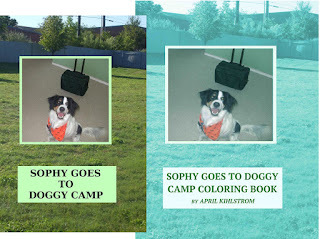 Sophy can be white and black, as she is in real life, or brown or pink or teal. Instead of the pressure of reading a whole book at a time, the person can choose one page, any page, to color and read. Coloring books give the person a reason to go back to the book over and over again. If the person doesn't always process line drawings well, being able to match up the original photo with the coloring book picture may help them learn to do so. 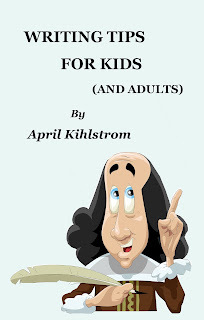 These books were designed to appeal to and be easy to read for all of the categories above. There are three available now. 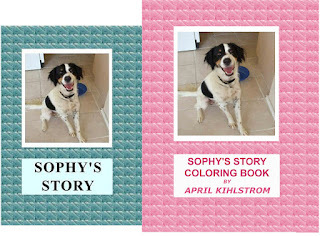 As I get them created, I will be making "teacher" guides available for the series of Sophy Books. Since this is something new for me, it may take me a little while to do so. 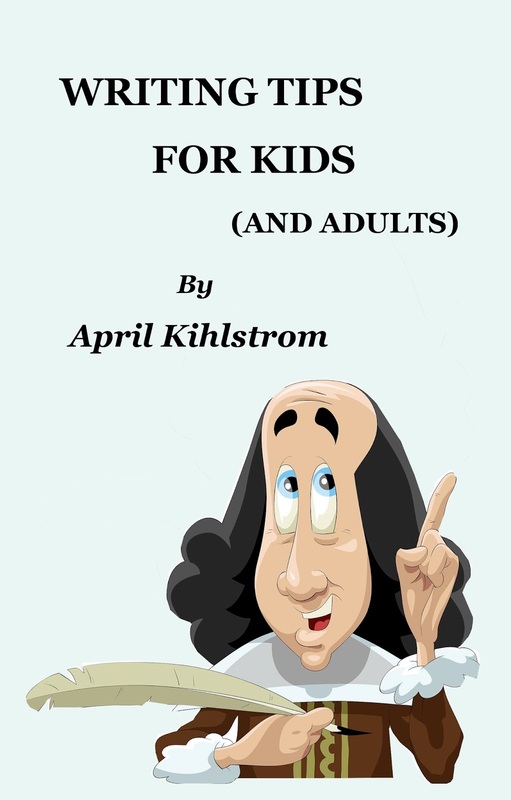 Note: Although it is not a Sophy Book, I'm also going to list a booklet of Writing Tips for Kids on this page because some parents or teachers might find that useful as well. 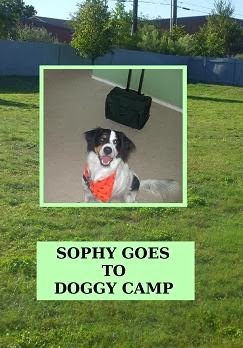 SOPHY GOES TO DOGGY CAMP is the second in a series of Sophy Books that feature the rescued shelter dog Sophy. In SOPHY GOES TO DOGGY CAMP, Sophy has to go to respite care while her mom goes on a trip. 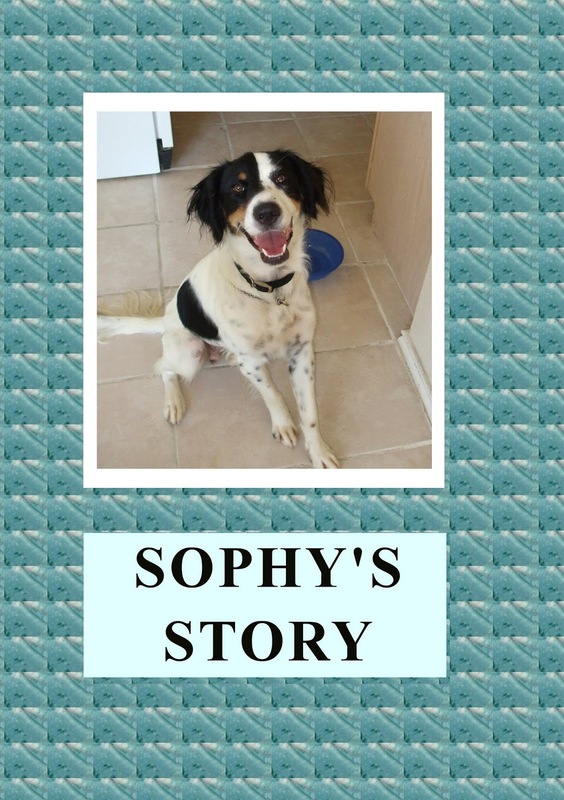 As with SOPHY’S STORY, this book is designed to appeal to all young children and anyone who loves dogs as well as to be accessible to special needs individuals like the author’s 37 year old son who has Down Syndrome. 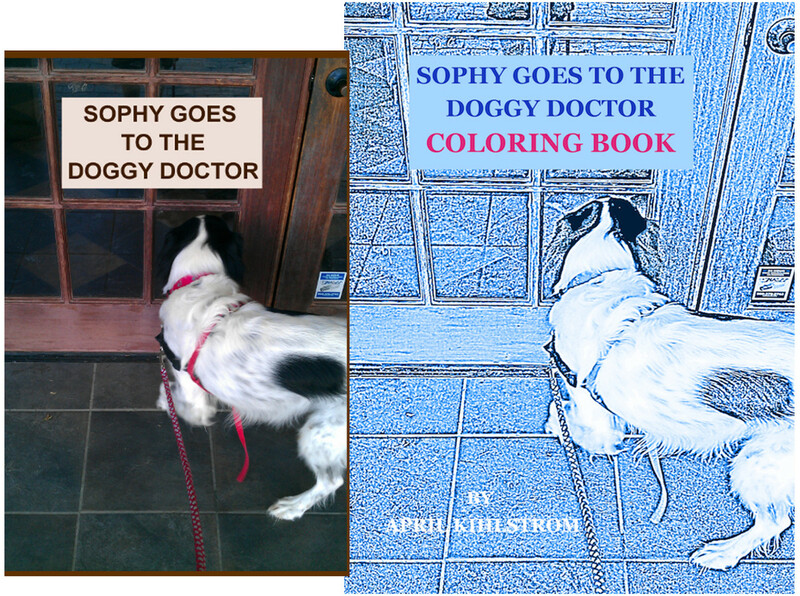 SOPHY GOES TO THE DOGGY DOCTOR is the 3rd book in the Sophy series. 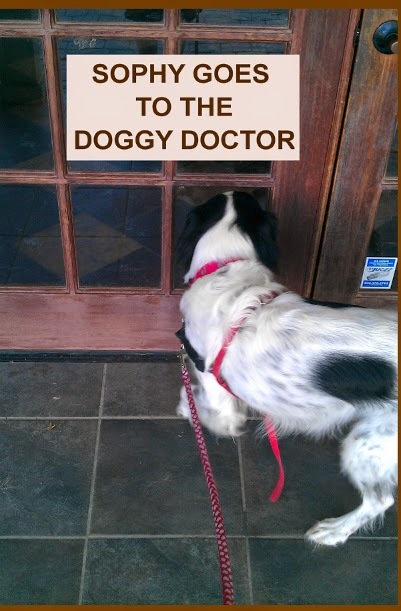 In this one, Sophy gets her annual checkup. 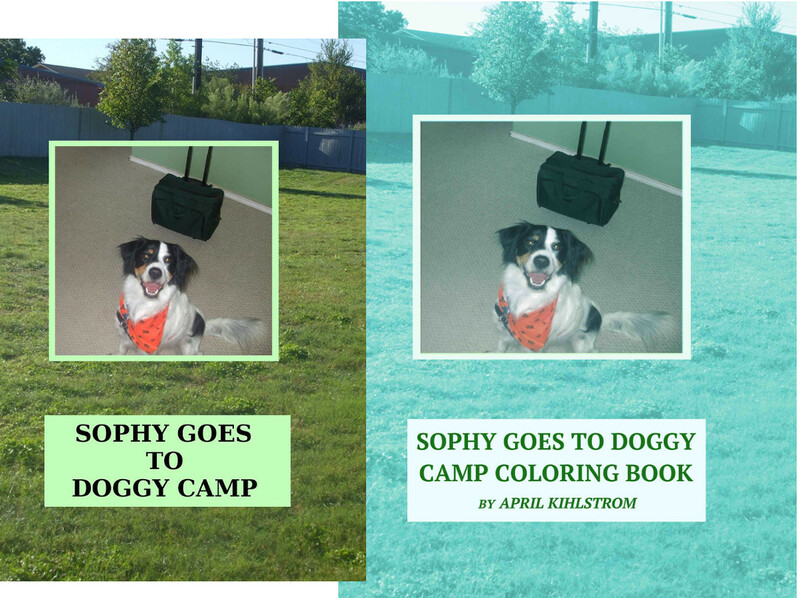 I'm hoping readers will laugh and perhaps see themselves in Sophy's impatience and reactions to the whole process. In other words, as always, I hope this book will bring comfort as well as smiles to everyone who reads it. My 37 year old son has Down Syndrome. Some time ago I became frustrated with the lack of books appropriate for him to read so I decided to create my own. 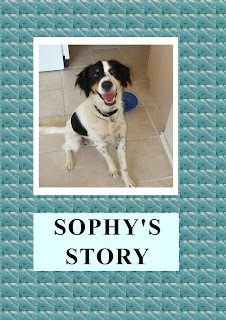 SOPHY'S STORY is the first in a series of books appropriate for young children as well as individuals like my son who are in some way mentally impaired or anyone who loves stories about dogs. And yes, Sophy really is my dog. The book features photographs of situations and emotions to which children and adults with special needs can relate. Available for Kindle Nook Kobo Google Play iBooks and in Paperback. Available for Kindle Nook Kobo iBooks Google Play Walmart and in Paperback.